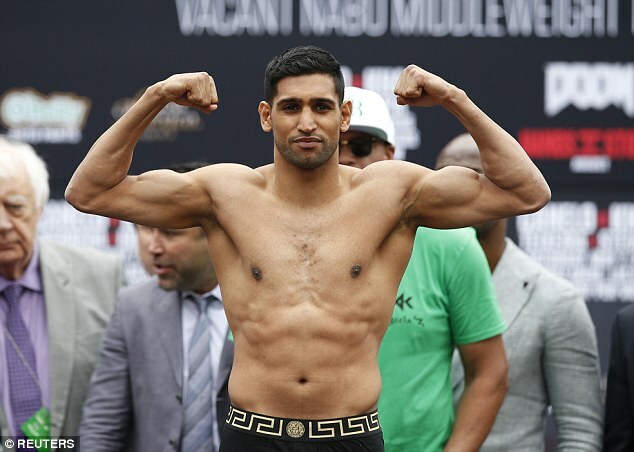 LAS VEGAS: Amir Khan chased big fights for years before finally winding up in a one against a fighter he freely admits is bigger and stronger than him. 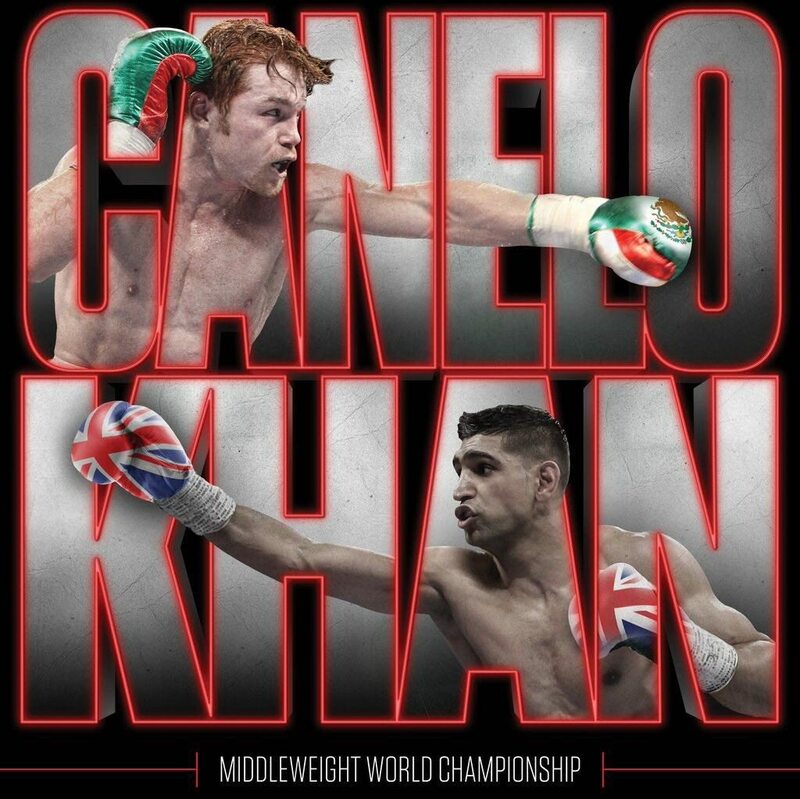 Amir wasn’t going to let his chance get away, even if Canelo Alvarez is a heavy favourite when they meet in the ring here on Saturday night for a piece of the middleweight title. Big underdogs can win too, says Amir, who doesn’t want Leicester City’s Premier League championship to be the only big sporting upset this week. Amir is actually a Bolton fan, but says he was inspired by Leicester’s run to the title. He knows a few things about being an underdog, too, with bookies in this gambling city making Alvarez a 5-1 favourite in their pay-per-view showdown. It doesn’t help that Amir had to move up in weight to get a shot at Alvarez, finally landing a spot in a big fight after years of chasing bouts with Floyd Mayweather Jr. and Manny Pacquiao. The fight will be held at a catch weight of 155 pounds, 8 1/2 more pounds than Amir weighed in his last bout. 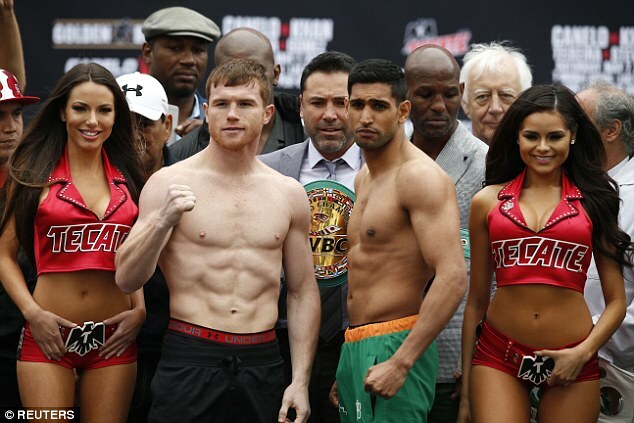 By the time the two get in the ring, Alvarez is likely to weigh 170 pounds or more. 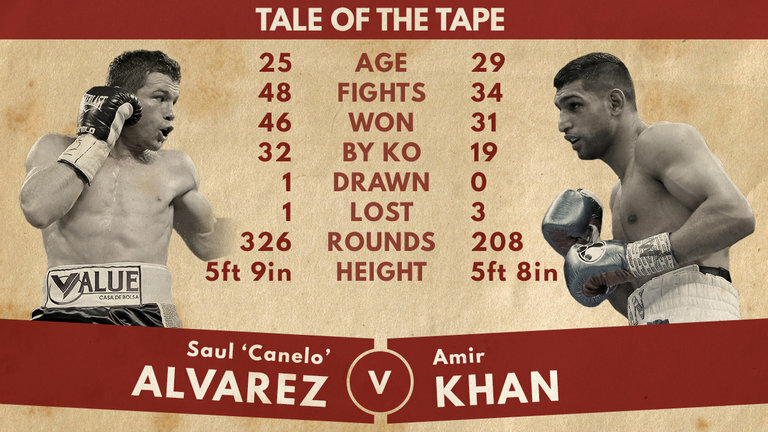 The size difference is expected to be noticeable, with Amir having fought most of his career at 140 pounds. Amir knows he has to be careful against Alvarez, the red-headed Mexican who has become his country’s biggest boxing star in recent years. He does have a speed advantage, but will need to use it well to keep Alvarez from wearing him down. That has gotten Amir into trouble in the past, and some in boxing question his chin after suffering two knockouts. But he says he’s a smarter fighter under trainer Virgil Hunter and has the technical skills to beat Alvarez. Amir has watched tape of Alvarez’s loss to Mayweather in 2013 to find a way to victory in a fight that could catapult him into the big money mix. Though the bout is for a piece of the middleweight title, it will be fought at a 155-pound limit instead of the 160-pound class limit. Alvarez won the crown in November by beating Miguel Cotto, and put aside talks with Gennady Golovkin for a mandatory defence to fight Amir instead. Alvarez said this week that Golovkin needs to win fights against bigger opponents before fighting him, suggesting that the fight won’t happen this year. Amir, who has fought only five times in the last four as he chased Mayweather and Pacquiao, said he believes fighters have a responsibility to fight the best if they want to be the best.